Lofts are all too often dark and dusty places, used as a dumping ground for unwanted clutter. Converting unused loft space is one of the best ways to maximise the space in your home, giving you an adaptable, light and airy living space that you’ll wonder how you lived without. 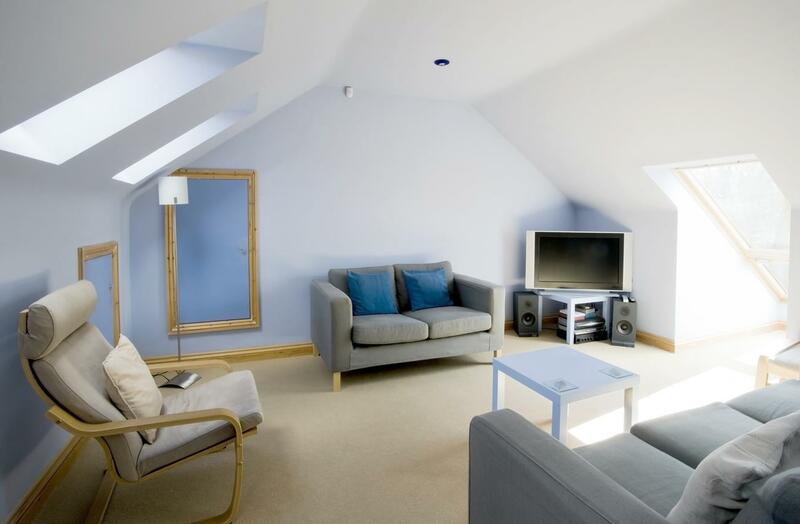 Loft conversions can be used to create stunning master bedrooms with an en-suite bathroom. At the highest point in the house, a loft bedroom can offer panoramic views across the rooftops or countryside, whilst providing a spacious bedroom. Converting the loft space in your home can offer you the adaptability you need to allow you to stay in the home you love whilst your family grows and your needs change. A master bedroom in the loft can offer a luxurious bolt-hole or a useful space to house a growing family or visiting family and friends. 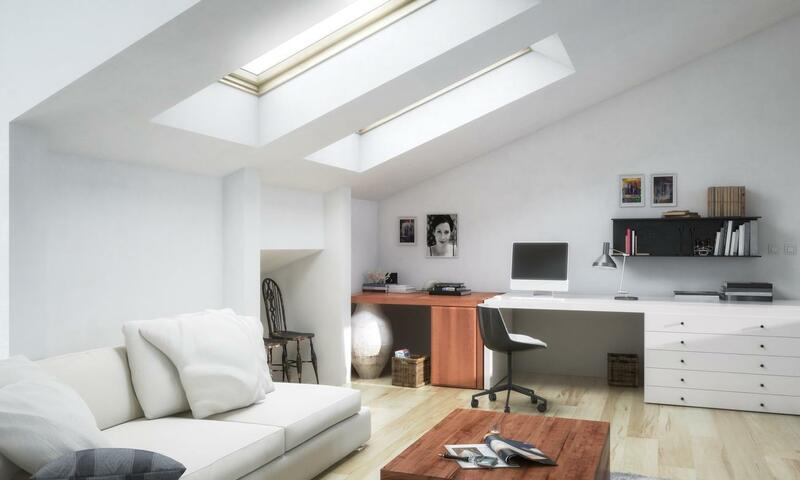 Alternatively loft conversions can be used to create a useful home office, a nursery, playroom or even a home gym! The possibilities are endless. To provide maximum space a dormer loft conversion is the best way to increase the footprint of your property. However, if you would prefer a Velux roof conversion, this will leave the look of your property unaltered whilst utilising sky light windows to allow light to flood in. JS Building Contractors are specialists in loft conversions and we can help you decide on the best type of conversion to suit your property and the needs of your family. 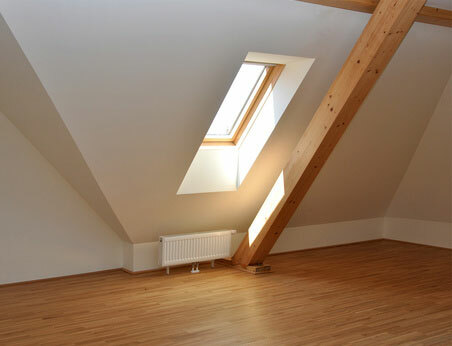 The standard height of a roof space for loft conversions is 2.4m or higher at the tallest section. If your roof space is shorter than this there may still be options available but this is the standard height for loft conversions. Loft conversions do not generally need planning permission, unless your home is listed or you live in a Conservation Area. So don’t carry on struggling with the space you have - contact us today for further information on loft conversions for a no-obligation chat or a survey. We’re happy to assess the viability of your loft space for conversion and talk through your ideas with you, helping you to turn your dreams in to reality. At JS Building Contractors we take great pride in our workmanship and aim to offer the highest possible standards of customer service. We understand that a loft conversion or any building work on your home, no matter how small, can be stressful. We offer a full project management service so you can relax in the knowledge that your loft conversion is in the best possible hands. Our team includes electricians, plasterers, plumbers and heating engineers, allowing us to offer a complete service to our clients. We carry out our work with the minimum of fuss and disruption to our clients and work with a team of highly qualified, experienced team of tradesmen.